Studio Calico: Color Combo Challenge winner! Thank you all so much for playing along! I really enjoyed looking at all of your fantastic layouts. 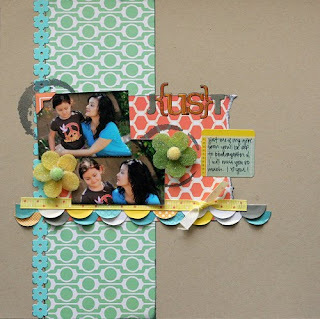 The winner of the challenge is katrina with this beautiful layout...I just love the way she used the Homefront line and the Coffee Stain stamp! Lovely! That title is great. I may have to use that. Congrats! oh my goodness! what a wonderful surprise :) thank you! what a beautiful layout! gonna have to save this one! beautiful layout. So very cute. Congrads, Katrina! :) Such a lovely page! !